Susan Dennard has come a long way from small-town Georgia. With a master’s degree in marine biology, she got to travel the world — six out of seven continents, to be exact (she’ll get to Asia one of these days!) — before she settled down as a full-time novelist and writing instructor. When not writing, she can be found hiking with her dogs, exploring tidal pools, or earning bruises at the dojo. 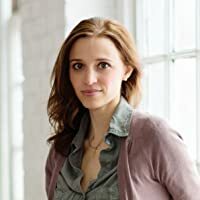 CLICK HERE FOR MORE BOOKS BY SUSAN DENNARD. 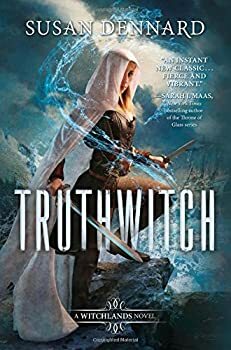 Truthwitch is a solidly engaging YA fantasy from Susan Dennard that, I’m guessing, will have a lot of fans (even if it isn’t quite my cup of tea) despite its sometimes nagging issues of craft. I’m assuming the first won’t matter because most of the book’s readers are probably far less weary of teen romance in their YA fantasy than I am, and the second reading obstacle — those craft issues — will most likely be outweighed by the fans’ positive response to Dennard’s depiction of the tight bond between the novel’s two strong female characters.